Remember those wonderful local strawberries I was talking about in my previous post? Well here they are again. I can remember trying Strawberry Butter for the first time. My mom had made some and I saw this wonderful pink butter in the fridge. I put it on my toast and was immediately in love. Same thing happened to my daughter this year. She is constantly asking for the "pink butter". Now, I like my strawberry butter a little on the sweet side. You can totally control how sweet it is by how much powdered sugar you add. The batches that I have made lately have been a tad crumbly. I think maybe the strawberries were really juicy and didn't blend well with the fat in the butter, or maybe I put too many strawberries in, but each batch was still extremely delicious. Also, I would advise to have the butter at room temperature for optimal spreading. **update -- My mom called me when she saw this post and said, "I can tell from the picture that you probably used too many strawberries in the butter and that is probably why it is too crumbly". So, with that said, you may want to decrease the amount of strawberries in the recipe to somewhere between 1/4 -1/2 cup. In a medium sized mixing bowl, using an electric mixer, beat the butter and sugar until combined and light, around 1 minute. Add the strawberries and beat until just combined. Transfer butter to bowl or ramekins, if you are being fancy, and chill until ready to serve. Best to serve at room temperature. That on a scone...oh yeah! Why have I NEVER heard of this?? Sounds SUPER delicious!! I will me making some soon! Oh man, it's so good on a piece of toasted homemade bread or a biscuit. You should definitely try some soon! BEAUTIFUL!! I love everything about this! 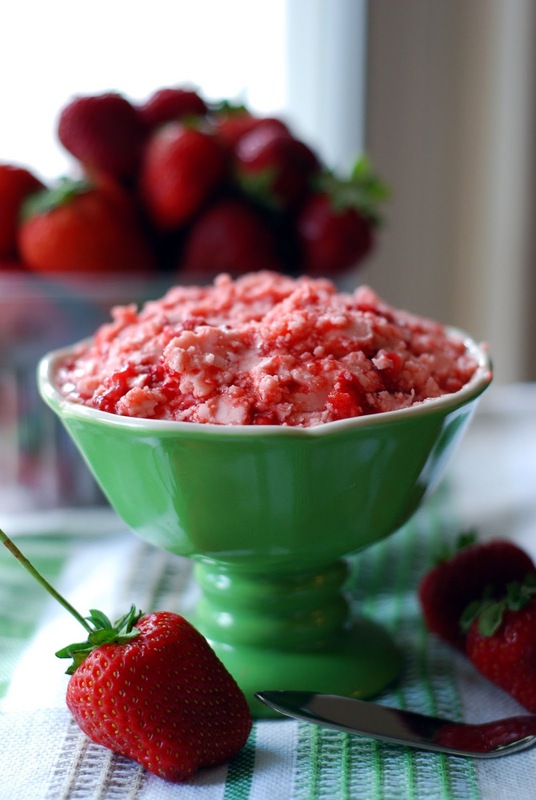 I've never heard of strawberry butter but clearly I've been missing out - it sounds and looks SO good! Oh my goodness! This wouldn't last long in our house, for sure! I get tons of strawberries from my CSA. Will be trying this for sure!